North Western Melbourne Primary Health Network (NWMPHN) has released a $3.4 million tender for new Psychosocial Support Services for people with severe mental illness who are not eligible for assistance through the National Disability Insurance Scheme (NDIS). While the introduction of the NDIS will provide comprehensive and individualised support for people with severe and disabling mental illness, there is a gap in services for those who need specialised but less intensive support. New Commonwealth funding under the National Psychosocial Support (NPS) Measure has been designed to address this gap, together with continuing and new Victorian Government funding for psychosocial support services. 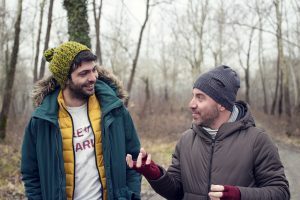 ‘Psychosocial support’ can include receiving practical help with daily living and tasks, being supported mentally and physically and getting connected to services in the community. NWMPHN CEO Adjunct Associate Professor Christopher Carter said that the NPS funding is critical in providing support to those at risk of missing out on services. “The NPS could affect a large number of community members in our catchment who would otherwise ‘fall between the cracks’ in the transition to the NDIS,” Associate Professor Carter said. The estimated resident population of NWMPHN is over 1.5 million people. Of these, 45,300 people live with severe and persistent mental illness and 4,920 with severe and persistent mental illness with complex multi-agency needs. Many people who seek NDIS support in the region may not be eligible and the NPS services will be designed to offer alternative person centered psychosocial support. Psychosocial Support Services will be delivered across the whole of the NWMPHN catchment. However, NWMPHN has released two tenders to consider the different needs of mental health consumers and service availability in the Western and Northern regions of the catchment. Agencies are encouraged to consider applying for either the Northern or Western regions and will be required to submit two applications if seeking to provide services across both areas. The NWMPHN Psychosocial Support Services tender will cover the remainder of this financial year and will extend to 30 June 2021. This tender will integrate with NWMPHN’s other continuing mental health services. A tender briefing is being held at 3pm, Friday 1 February. Register to attend the briefing here.